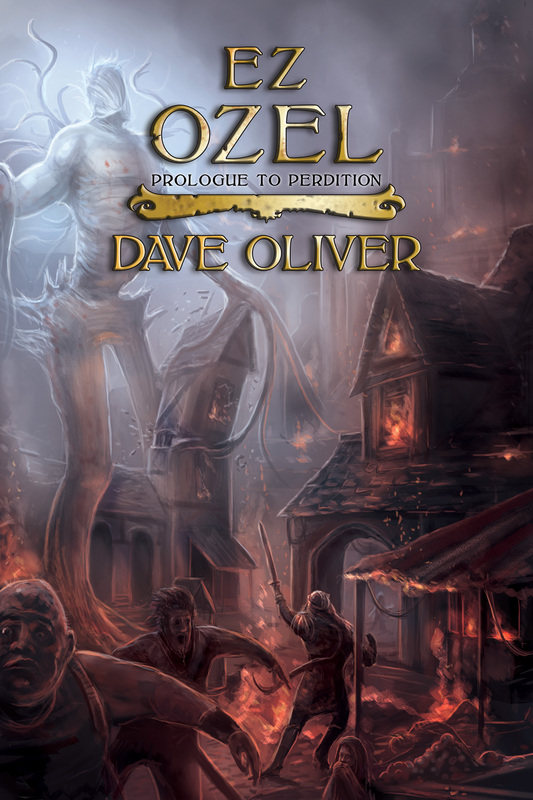 I was fortunate to work with Dave Oliver on his fantasy novel Ez Ozel last year. It’s taken me too long to get this post up! Dave was great to work with, and I love the sense of destruction and terror I was instructed to convey in the image. I’m pleased with the sense of depth and the monstrous looking creature making its way to the town square. “After losing everything to a growing threat, the northman Fierd travels south looking for a new life. With the unknown ahead and certain doom behind, he takes on a young travel companion who may be able to help him make a fresh start somewhere safe. Proud, ambitious, and talented, a new officer of the City Ward struggles to keep an unsure populace in order. With the king missing from the throne, Lieutenant Casselle learns the ropes and works to undo the seedy legacy left behind by her father. Infirm but wealthy, Merrik seeks any method to cure his debilitating ailments. As his condition worsens, he seeks out less conventional options. When he looks to supernatural remedies, his desperation leads to a reckless quest with no regard for the safety of those around him. You can get your copy of Ez Ozel here.